Summer Shorts! 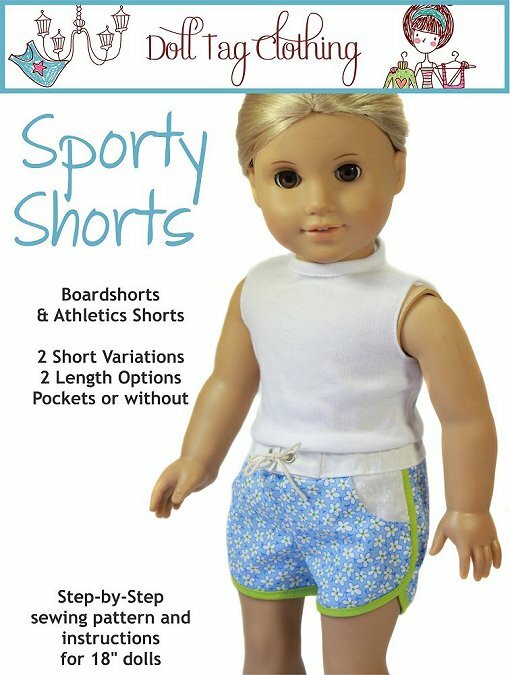 These are great shorts to make for the beach, around the pool or even for the athletics track. They are finished off with bias binding so your colour options are endless. There are 2 lenth options: Knee length or short. Include or leave out the pockets. Insert a side panel for board shorts or leave them out for track shorts. I love the floral print fabric. 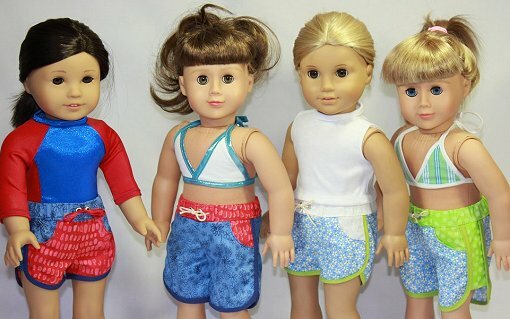 And there are four doll models - can you tell us their names (and manufacturers) thanks.